GameTanium is a service which allows users to play a good range of quality Android games for a monthly fee. Now, Verizon has decided to partner with GameTanium in an attempt to enhance the gaming experience for its customers. 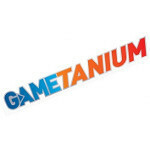 Currently, GameTanium offers a catalog of about 100 smartphone games and 50 tablet games. After a three-day trial, users will be able to play those games as much as they want for a bearable monthly fee of $5.99 per device, which will appear on your monthly bill. Thankfully, GameTanium isn't only about allowing you to play games. The service is a bit more complete, as it tries to offer you only worthwhile titles, images and user reviews. The downloading process of a game should be seamless, but in case you run into any trouble using the service, you can contact the live Customer Support via phone, SMS chat or email. GameTanium is available right away through Verizon Apps, which, by Verizon's estimations, is found on about 30 Android smartphones and 2 tablets. Well, obviously GameTanium won't be a very mass-market service, but who knows, if it picks up with Verizon, other carriers might look into partnering with it as well. Of course, the improvement of its game catalog will also be a crucial factor for its success. Seems like a decent service. Considering the fact that i like playing games on my cell phone i may check it out. This seems like possibly a way for you to use more data, considering Verizon recently did away with unlimited. Better watch the thief in the night disguised as a sheep. I have unlimited data and i will always have it because all my upgrades will be full retail. You don't see me bragging that I have an extra $700 lying around every year. I wasn't trying to brag. I was just stating that i will keep my unlimited data for as long as possible. Btw, im not upgrading annually.